Botgirl's Digital Playground: Ouch! Two Shots at Altruism. Ouch! Two Shots at Altruism. 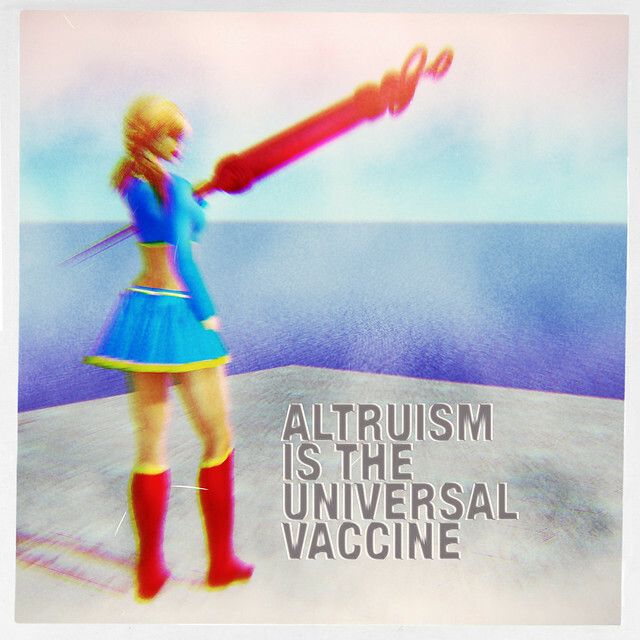 Here are two takes on a visualization of "Altruism is the universal vaccine." Ooooo I love the second one! Very effective.